Come as you are at either 8:30, 10:00 or 11:30 am!  Here at Radiant Life, we have a relaxed, coffee-shop atmosphere with engaging worship music, dynamic video presentations and a relevant message centered on the teachings of the Bible. Services are at 8:30, 10:00 & 11:30am. Desiring a drink before entering the worship center? Stop by our Café Diem and grab FREE cup of coffee, order a pop, a smoothie or specialty coffee drink and bring it with you into the service. All proceeds and donations from Café Diem are donated to a different ministry/missionary every month. Why do we do that? Because we believe it is better to give then to receive. Curious as what to do with your kids? We’ve got that covered! We offer fully staffed, background-checked nursery, toddler, preschool, and elementary ministries. We also have an electronic check-in system to ensure the safety of your kids.